If you're seeking a hotel that’s close to the beach then the Hotel Belroy is an ideal choice, since it’s less than 100 yards from popular Playa de Levante. 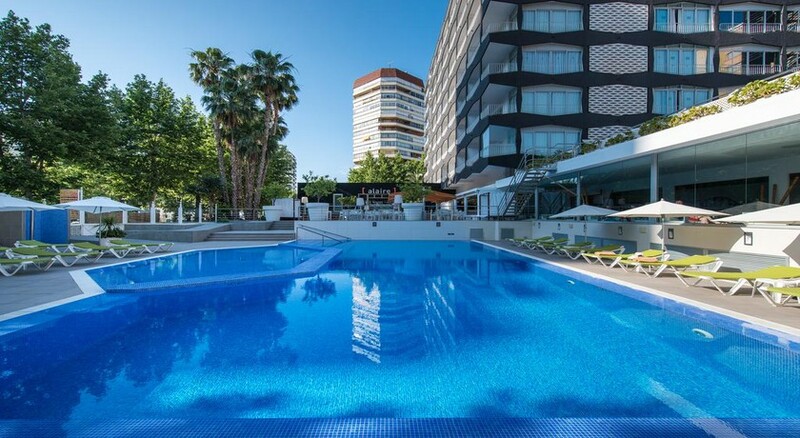 Its central location in Benidorm and relaxed atmosphere make this hotel a good choice for solo travellers, couples, groups of friends and families with children. 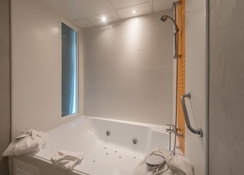 The Hotel Belroy also features apartments which offer a more spacious experience for guests, not to mention on-site amenities which include an outdoor pool, sauna and gym. The Hotel Belroy is also close to the main tourist spots in Benidorm such as the Aqualandia Water Park, Terra Mitica Theme Park and a selection of golf courses. 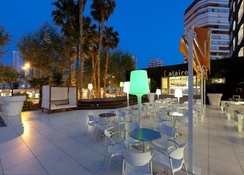 The busy centre of Benidorm with is renowned nightlife is only a short distance away. 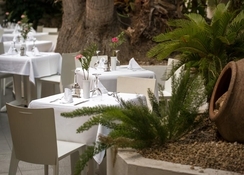 Hotel Belroy is located just off the Levante Beach, so it’s in a prime location if you want to reach many of the bars and restaurants in Benidorm centre. It’s also in a handy spot to visit the main tourist attractions such as the Aqualandia Water Park (1.5 miles), Terra Mitica Theme Park (2.7 miles) and the Plaza Mayor Square (0.5 miles) - a great day out if you’ve got kids. 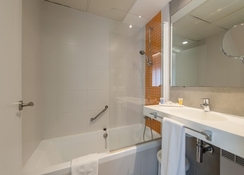 The hotel offers a transfer service to Alicante International Airport which is 29 miles from the property. There are options for both rooms and apartments at this hotel. There are 4 room types on offer from Standard Double rooms that sleep up to three people with a sofa bed, Superior Double rooms for up to four guests, Family Rooms which are also for four guests and Single Rooms for solo travellers. All the rooms have amenities including air conditioning, tea and coffee making facilities, free Wi-Fi and some have balconies. There are two apartment options that provide more space; these can sleep either three or four people and have a separate furnished kitchenette and living area alongside the other hotel amenities. 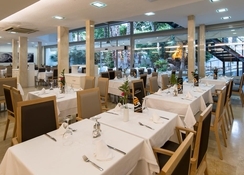 There is a main buffet-style restaurant at the hotel, as well as L’Abadia Gastropub and UMAI Restaurant, which offers Japanese cuisine. There is also a pool bar for guests to enjoy refreshments mid-swim. The apartments at Hotel Belroy have a furnished kitchenette where guests can prepare their own meals too. The central location of the property means that you’re never too far away from an abundance of cafes, bars and restaurants if dining out is your preference. The Hotel Belroy has an outdoor pool as well as an indoor pool and sauna. You can keep fit by using the on-site gym and they have live music on a nightly basis for guests. The nightlife scene in Benidorm is only a short walk away too and any golfers will particularly enjoy this property as the Las Rejas Golf Course is only 2.3 miles from the property while there is a casino just under a mile away.